Had the final prize giving for the Manawatu Ulysees 4 Points Rally tonight. Received my badge and also was lucky enough to win an autographed shirt. I've also updated my website with a write up on this event, see it here. I've also been uploading quite a few of my photos to my Picasa Web Albums here. Have added a brief write up on the 1000 Miler. Also updated a few other pages. 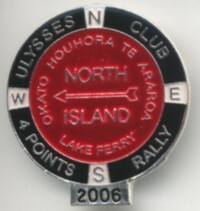 Story on the 4 Points Compass Rally still to come, prize giving etc being held on Saturday night. 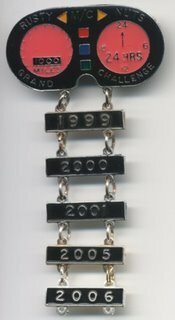 My poker hand is crap so far - can't see how I'll come away with anything other than my badge. I haven't as yet had time to write up a bit of blab on the 2 rides yet but I've uploaded the photos taken on the rides (only small size). Most haven't even got decent captions yet - will get there one day. I've also created a spreadsheet which shows distances, times, fuel economy etc of my Bandit over the two rides combined. See it here. 2006 Thousand Miler - DONE!! Back from the 1000 miler. My arse won't mind if it's another year until the next one. It was toughter than last year, more slow twisty back roads. Made it hard to cover ground quickly. It seemed to take a long time to get to the halfway point. The second half was more open and it felt like we were getting somewhere. Finally finished just after 12:00pm. Only 21 hours after starting. 1638km's completed. Last night after we finished I wasn't too fussed if I never rode again, but after a rest most of my enthusiasm has returned! Got to ride through pretty much every type of weather, hot sun, rain, fog etc. Bike went well, definately more comfortable than the 750 from last year. 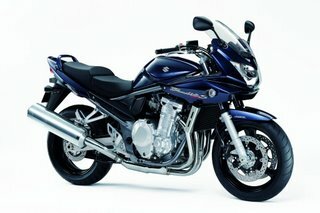 Bike is in getting serviced at the moment, off on the Manawatu Ulysees 4 Points Compass Rally tomorrow. Got a week off work, YEAH BABY. 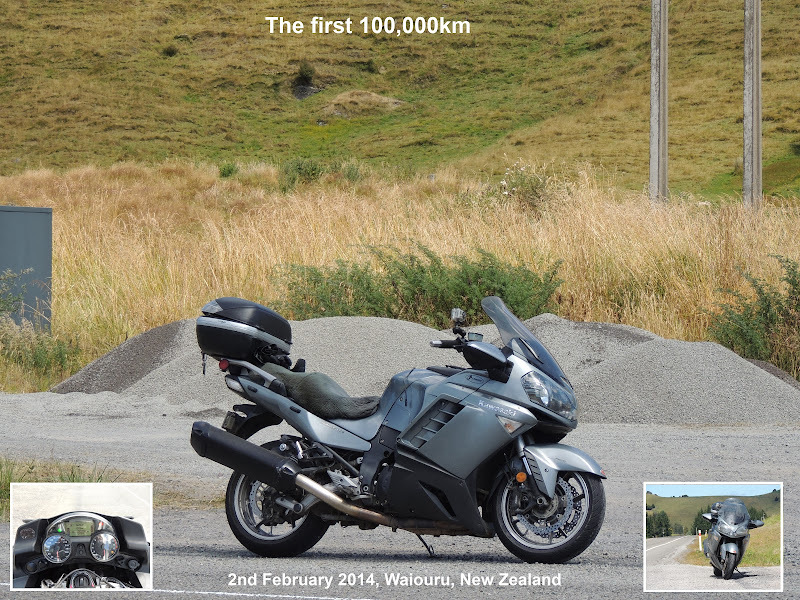 It' Monday afternoon and we're just back from completing the 1000 miler, the bikes are in the shop being serviced and having tyres fitted for the next ride (the Manawatu Ulysees 4 Points Compass Rally). The ride was good but tougher than the previous 4 that I've done - there were 3 sections in particular where we took to back roads which were tight in places and tricky in the dark. Also, it was very windy in places and we struck some rain and even fog. All said though we did it quite comfortably in 21 hours and had a lot of fun in places. When I'm back from the 4 Points Compass Ride I'll right up a bit more of a story and stick it on my website. With only a few days before the ride, preparations are well under way. The bikes been cleaned and polished and had the once over - tyre pressures ok, chain ok, oil okay, sheepskin on etc. Because we are also doing the Manawatu Ulysees 4 Points Compass Rally (see Planned Rides on my website) in the week after the 1000 Miler, the bike is booked in for a service the Monday after the 1000 Miler and a new rear tyre ordered. All that's required now is to pack what little gear I need for the 1000 Miler into the top box and I'm off. Friday 13th Oct: travel up to Turangi and park up for a quite night (and hopefully a decent sleep). 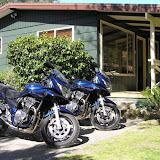 Saturday 14th-15th: Complete the ride and stay the Sunday night again in Turangi. 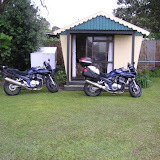 Monday 16th: Return early to Palmerston North and get the bikes serviced. Tuesday 17th: Head off on the 4 Points. Will hit the Lake Ferry checkpoint first and then head up the East Coast - Far North - West Coast and then back to Palmy probably by the following Sunday or Monday. No rush for this one. Saturday 28th Oct: Finish date of the ride/prize giving etc. All up will probably do close to 5,000 k's in just over a week - not too shaby. Will stick some updates on this blog plus probably a write up & photos on the website. Looks like April 2007 for the new Bandit. 650 gets a new motor too. Just found out Woodville Lions Club Coast to Coast is on the 9th of December. This is a fun fund raiser for the rescue helicopter. It leaves from Himatangi Beach has a lunch stop in Woodville then heads out to Akitio for a prize giving and a knees up. A good chance to ride with about 500 other bikers and raise some money for a good cause. Added a page with up and coming rides I plan to do. Will update with more (eg Xmas toy runs etc) when I get more information. After reading about the new K7 Bandit on the web this morning, I thought that maybe I should put some more k's on my K6 before I talked too much about changing it. Excellant conditions: warm with a bit of cloud cover, no wind, not too hot or cold. 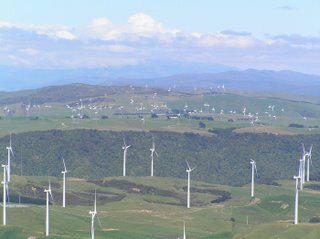 I decided to head up over the Saddle Road to Woodville and then on through to Pahiatua before coming back to Palmy over the Pahiatua track. The Saddle road is a real mess! On the Ashurst side there is shingle and stones all over the road. No signposts to warn you either - look out if you are heading over there. Woodville side not too bad. 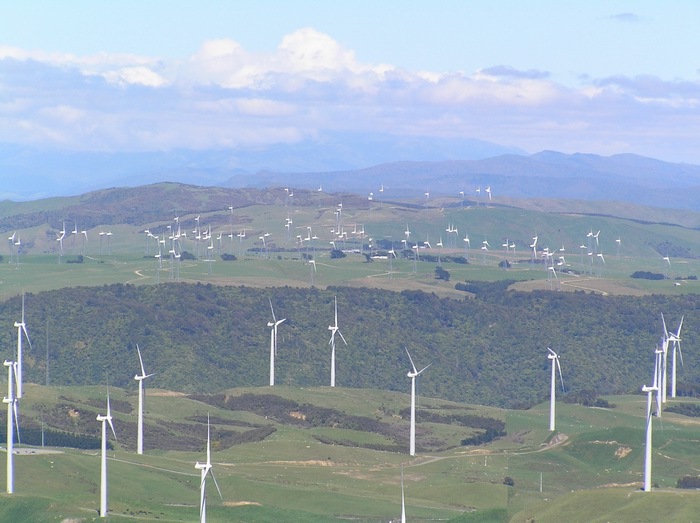 The picture (taken on another day from Whariti) shows the Te Apiti wind farm and the Saddle road passes this where you can see the second, smaller clump of trees and a few buildings. Always impressed by the big windmills turning over making power from nothing - not a lot of wind today though. The ride back over the Pahiatua track was pretty uneventful - some huge potholes at the bottom of the hill but this is pretty normal - the trucks give the road death. Only saw one other guy out on a bike - a GSX-R600/750/1000 flashed past going the other way as I dropped back down the other side of the hill. Damnation! I bought my new K6 in April and now there's a new model already. And I was planning to keep my one for a few years yet. What am I gonna do? At least my luggage system and seat cover should fit on easily.